Design & Promote’s CEO Bruce Jones was thrilled to be a part of the Naperville Chamber of Commerce’s Nonprofit Panel Discussion. In the panel discussion on Jan 9th, Bruce talked about how nonprofits can create search engine optimized press releases to support media efforts. 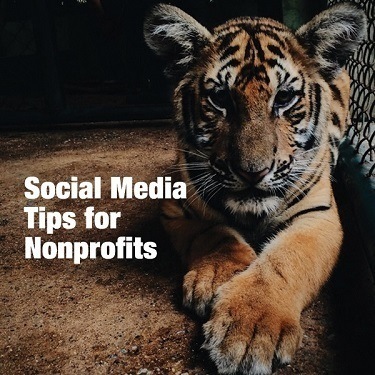 We’ve also expanded this post to discuss some key social media tips for nonprofits. When editors need a story, they’ll go to Google too! Distributing your press online serves as an extra boost for helping your message reach the right media members. Panel Tip: The media likes content…provide them with pictures and video content if possible. Keywords should be used in the press release title, quotes, body of the press release and through the Nonprofit’s website copy. Sometimes it’s easier to just write a press releases naturally and then work in the SEO elements. If you’re already writing press releases to pitch to the media, rewrite a PR with keywords to include on your website along with photos, video and any other materials to complete a story. Press Releases help build back-links to your website. Extra tip: Be sure to ask a reporter if he or she could include a link to your website in the story. While the media can help propel a nonprofit’s message to reach a larger audience. We believe that nonprofits can wear the media hat too. When using social media as nonprofit, your goal is to connect with your followers and gain more support for your organization. In short, you’ve got to keep nurturing that community—something that a major media company doesn’t have time to do. But isn’t social media something that you think about after a story is published? NO! You need to think about what you’re going to say in a post, what kinds of photo opportunities you want to get for social media and who do you want to tag in the posts. Incorporate social media into your nonprofit media plan. Use a YouTube Fundraising link! If you make a YouTube video, put an annotation in your YouTube video with a link to your donation page. YouTube annotations provide an extra opportunity for nonprofits to put in a link to a donations page, take the extra step! Want more tips on video optimization? Check out our free resource on video optimization. Keep content sharable, snackable and customizable. What does that mean? Think about how you’re going to break your message apart while keeping the “big picture” in mind. Brand: Share social media posts that are about your nonprofit–events, media spots, programs…etc. Industry: Share posts that educates and develop discussions. Personal: Share posts about your team, volunteers, those you’ve helped and other personal stories. Go back to branding and marketing until you come out with your values. Sorry, social media isn’t a quick fix for poor branding or mixed marketing messages. Ask your audience to participate and provide a means for them to get involved. The ALS tapped into our human need to connect and our inner egos to “top” the last guy’s video. ALS challenge participants were willing to look silly in front of friends and colleagues. It kept everyone laughing and participating in the campaign. The ALS challenge had an impact across YouTube, Facebook and Twitter. Think about how you could engage supporters on and off social media too! These SEO and Social Media tips work if you work them! Becoming active online is probably one of the best things you can do for your nonprofit.